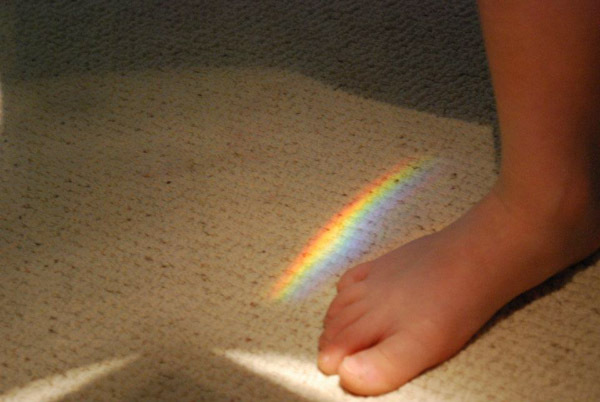 Everyone knows Leprechauns love rainbows. That’s where they hide their gold. 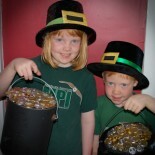 Hide some golden coins in Rainbow Rocks for your child to discover on St. Patrick’s Day. 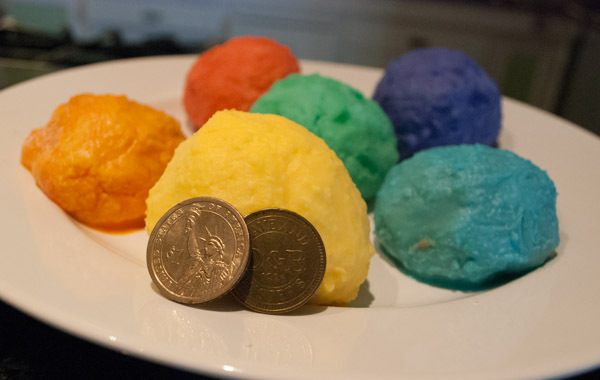 All you need is some baking soda, food coloring and golden coins. For each rock, mix a ½ cup baking soda with a ¼ cup of water colored with a few drops of food coloring. 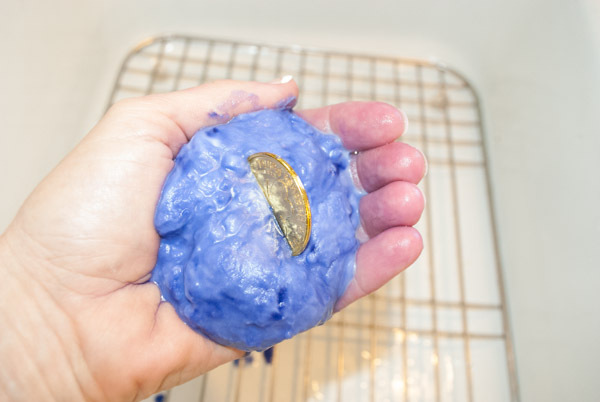 Use your hands to form a ball and insert the coin in the middle. If the mixture is too runny, add a tablespoon of baking soda. 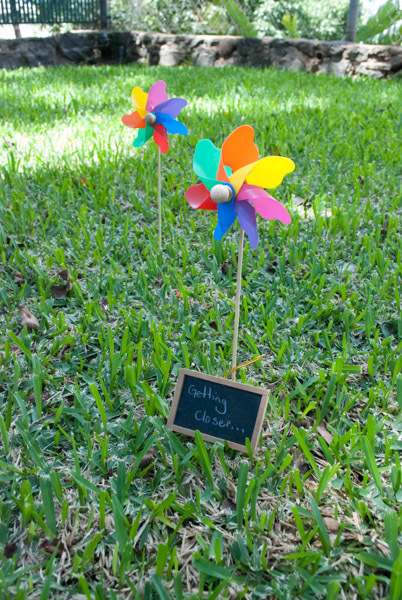 Let the rocks dry overnight, then place at the end of your own scavenger hunt. 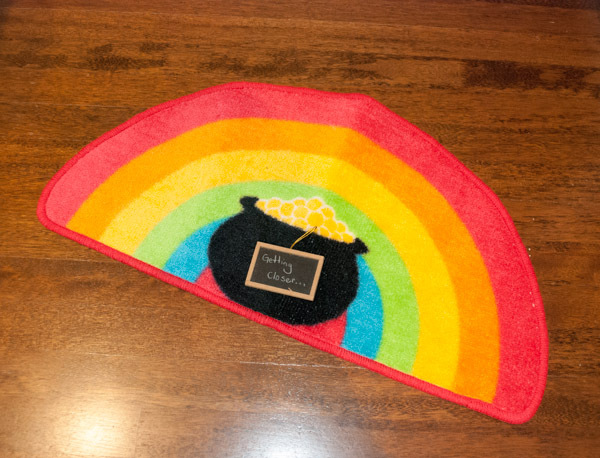 After four years of trying to trap the leprechaun, we’ve given up. Now we just make playgrounds and gardens for them, leave them treats, and hope they don’t create too much of a mess in our house. Two years ago they made a scavenger hunt for us. 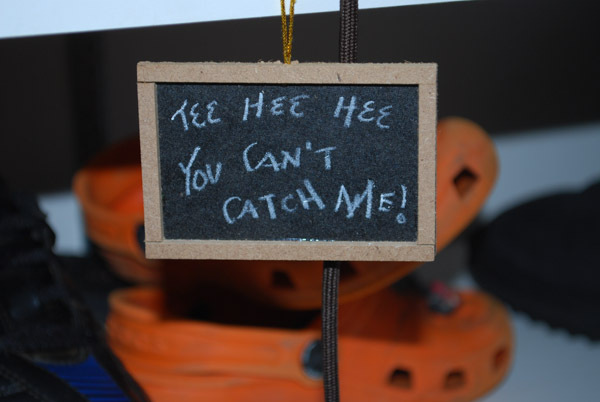 They hung a taunting sign that said, “Tee-hee-hee, you can’t catch me!” with green glitter leading to another sign telling us to follow the rainbows. 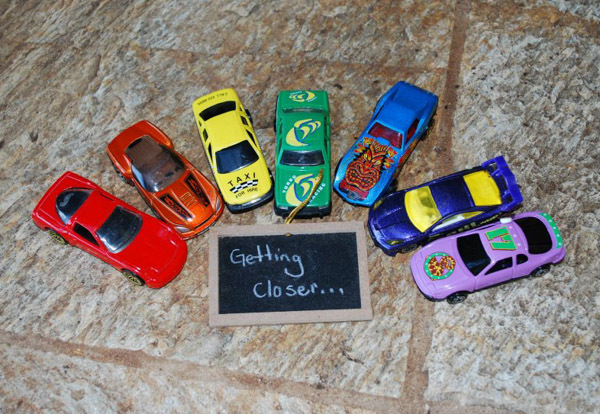 We found rainbow after rainbow made of various objects, such as toy cars, markers, a rainbow rug, and pinwheels, leading to the leprechaun garden, where the kids found geodes and a prism so that they could make they own rainbows. A little bird told me that they have something similar planned this year. 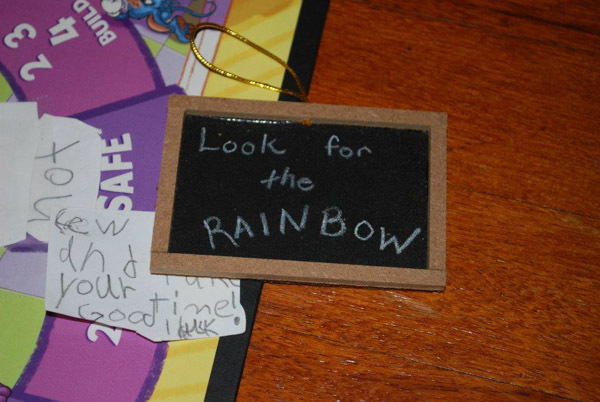 This time the kids will find Rainbow Rocks which, when cracked open, reveal golden coins. Who knows, some of the coins might even be REAL $1 coins! This is a very cool thing to do and a wonderful adventure to share with the kids. Ty for sharing this. 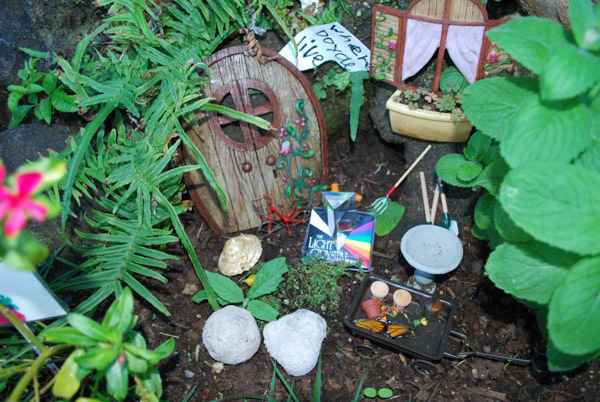 This entry was posted on March 4, 2015 by mdaucello in Crafts, Elves and Leprechauns, Leprechaun Adventures, St. Patrick's Day and tagged baking soda, coin, golden, leprechaun, rainbow, rocks, scavenger hunt, St. Patrick's Day, trap, trick.